A recent paper entitled “Proposal for Renewable energy projects in Southern Victoria and Opportunities for Latrobe Valley Development” by Chris Barfoot et al examined the potential for renewable energy to be a major part of a just transition in Gippsland. In particular the paper examined solar, wind, pumped hydro and battery storage opportunities. Here I look at their case for floating solar and hope to examine other aspects of their paper, in particular pumped hydro, at a later date. 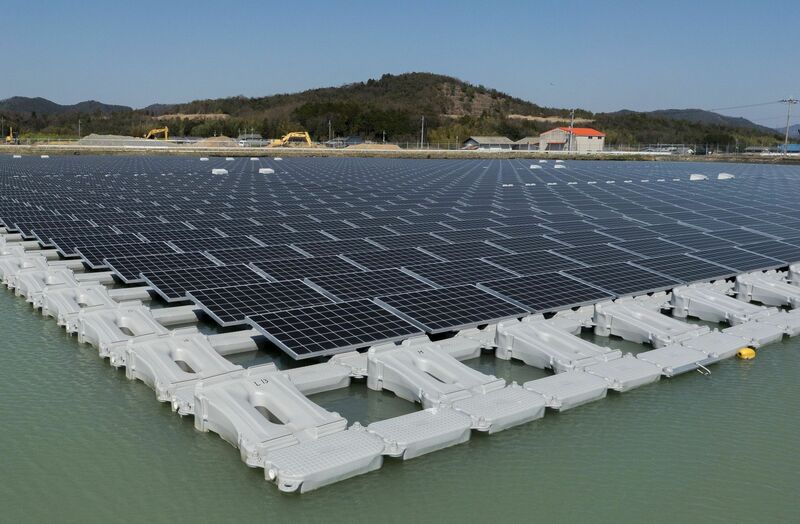 The paper lists a substantial number of advantages for floating solar including no preparation for the site is needed; that if associated with established hydro operations there is no need for costly infrastructure upgrades; that when energy efficiencies from the cooling effects of the water are taken into account costs are not that much different from that on land and most important of all the advantages it can be done almost immediately. Possible sites for consideration included reservoirs and water treatment plants. The Thomson River dam could house a raft of photovoltaics producing 100 megawatts. Listed suitable sites included Lake Narracan, Hazelwood Pondage, Blue Rock Dam and Moondarra. I have noted previously the work of the Mirboo North Community Energy Hub and their current feasibility study where they hope to create a floating solar farm of 1.4Mw in conjunction with Gippsland Water. This was discussed at a recent Gippsland Climate Change Network meeting which also mentioned the suitability of Lake Glenmaggie for floating solar development. Above all jobs now, and plenty of them, is the first and most important step in the just transition.